This world is not real. World means unhappiness. The world is like a dog’s tail that cannot be straightened even with the best technology. Similarly, all the technologies in this world cannot eliminate all the bends in this world. Mahatma Gandhi brought independence to the country. He became a mahatma because he worked selflessly for the country. You may perform seva (service), but in the process you do not know if the other person has been benefited or not. The result is not required. But the service itself will make you a better person. Without steadfastness of faith or no goal or purity, one cannot know what real happiness is. So Love him(God), more and more. You know what is in your heart. We worship with hands and repeat his names with the mouth. But he is in our heart and is very intelligent and mighty. He knows what is in your mind. Perform all tasks without any thoughts. If your mother-in-law is bad, God is there to take action. But do your duty towards her. Similarly, if she is good, God will see that too. You have entered that house because of your past actions. God sent you there accordingly. So, do your duty. Why should you be bothered whether she is bad or good? God is there to judge her. The world is filled with the desire to earn more money. People are after money. They do not know this is an illusion and will just go away once the body dies. You should not misuse your power of authority. As we get our clothes stitched to our size, similarly we need to behave properly in the house also. Never imitate others. If you imitate that means you are not confident of yourself. You have no faith in yourselves. Think individually. Why are you depending on others? You are forgetting your inner strength. Today, imitation has become the norm of the day. Remember and believe the real peace and unlimited happiness in inside you. The happiness that you see outside is not true. It stays with you for a short period. So, start working towards your goal. increased my love for him. 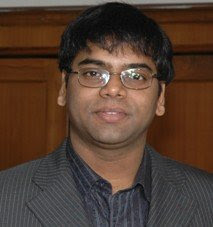 Whenever I visited him, he asked me about the hardships at my workplace, not as a Guru but as a friend. I am very fond of literature. Even Nannagaru is interested in literature. Therefore my duty as well as my liking for literature made me closer to Sri Nannagaru. Nannagaru started converting into that of a Guru-disciple's relationship. Previously I never mingled with people. But now there is a great change within me. To put it in one word- I got perfection and completeness in my work. I developed a positive attitude and got habituated in accepting people as my very own.I got introduced to other devotees and developed intimate relationship with them. The most important thing is that I forgot my status in society. Previously, I considered myself to be so and so even in my sleep. I used to feel superior than my subordinates. Now, I lost all such superiority complexion. Love and affection nurtured within me. The depths of my heart increased as I listened to the good and bad of others lives. It all happened only because of Sri Nannagaru! All the culture(ie pujas, abhishekas etc.,) that I nourished since childhood disappeared all of the sudden. Now SriNannagaru is everything for me! There is lot of energy and power encapsulated in words of Sri Nannagaru. Sometimes even if I want to utter something very loudly, I am reminded of his words. His words literally chase sometimes, they seem to be beautiful sometimes, loving sometimes and thrashing sometimes. One more quality that I liked most in Sri Nannagaru is that he never forced anyone in anything. This is a very rare quality. In fact everyone including our Mother, Father, friends try to dominate us by interfering in our thought process. But Sri Nannagaru never dominates us. He gives us 100% independence. He gives his advice and says: "You think over and do accordingly." It is a great secret that the freedom which Sri Nannagaru gives us which is not given to us by any other Guru. Every other Guru says: " I am your Guru; Adore me. You must abide by my words." But Sri Nannagaru says:" Everything happens as per one's destiny. Therefore just give away your mind to the Lord." I always feel it would be enough if I give my mind to Nannagaru. He is a great doctor who cures all our mental diseases so that we may mentally attain the proximity of GOD. Perhaps I am narrating more about my material life than my spiritual life. Reminiscing Sri Nannagaru words gives me immense inner strength, which states - "It is possible to make spiritual effort in the materialistic life". Sometimes I feel as if divinity itself took the form of Sri Nannagaru. Adoring him as divinity is a greatest feeling. There would be no greater blessing if I can constantly attain that feeling in my every breathe. Can we ever find anyone as loving and as intimate as Sri Nannagaru? Who would make us intimate to Arunachala and also say that you are Arunachala itself? Where can we find the Gurus who would say 'Know Thyself' and also make us eligible for the same? I feel as if thousands of people, in fact the entire delta belt(of West Godavari) attained the eligibility to attain Self Realization. I consider everyone whomever I see as Sri Nannagaru himself. Its our greatest fortune that we are able to listen to the words of Sri Nannagaru. Maya is not outside; it is in the form of thoughts. An important point to be noted is one need to have a control over food and speech. One tends to eat more, and visits a doctor with various ailments. Our health is in our hands. We do not require a doctor to cure most of our ailments. Have a restrain over food consumed. Recently, a doctor told that about one fourth of his patients actually do not suffer from any disease or ailment. Their biggest ailment is their doubts in the mind. According to Bhagavad Gita, to get rid of fear, both desires and hatred have to be killed completely (100%). As long as these are present, you will not have happiness. Where there is love there is a desire. Wives like their husbands. So, they have a desire to make them happy. A wife cooks good food for her husband. And in the process over feeds her husband. Again in this world you like money. Money will lead to desires. To satisfy all your desires, you run after money. Similarly, if you develop a love towards God then you would like to visit temples and repeat His names. So, far we have discussed about worldly issues. If a person’s desires are satisfied then there is a trace of arrogance in him. This is because of maya (illusion). If your desires are not satisfied then you get angry. Maya is not outside; it is in the form of thoughts. From the mind desires arise, but not from the body. Both thoughts and illusions are in the mind. To attain a total mindless state, the sages have meditated at this place. Through meditation they have killed their thoughts and overcome illusion. In this world, the enemies outside are not dangerous. But the enemy within you in form of thoughts and desires is very dangerous because it will bind you to this world. It becomes difficult to remove the shackles of life and death. 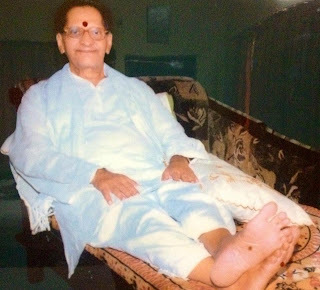 This post is dedicated to the holy feet of Sri Rajyamma Garu, Sri Nannagaru's mother. your Mother, How can I believe that you will have reverence for your Guru?" It is the belief of Krishna's devotees that Sri Krishna Chaitanya is an incarnation(form) of Krishna. He loved Brindavan and had an intense desire to stay there forever. But Sri Krishna Chaitanya's Mother took a promise from him. She said: " You should not go away to Brindavan which is far away. Rather stay at Puri Jagannath which is nearer, so that I can atleast see you occasionally." Sri Krishna Chaitanya sacrificed his intense desire to stay at Brindavan and promised his Mother that he would stay at Puri Jagannath. He kept his word till his last moments. Ultimately His body merged into the sea in Puri only. 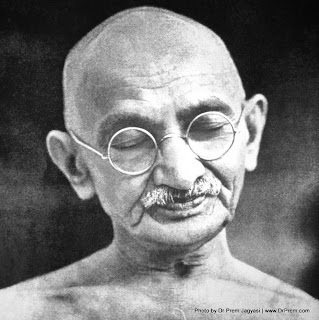 Mahatma Gandhi, the Father of our Nation loved his Mother intensely. When Gandhiji was going abraod for higher studies, his Mother said: " It doesnt matter whether you will study or not. It doesn't matter whether you will earn more or not. I am contended with whatever we possess currently. My only desire is that you should not get habituated to smoking or eating meat or drinking wine or any other bad habits. I will not be happy even if you possess a foreign degree along with these bad habits. "Gandhiji remembered these words forever and protected his character. In his childhood, Gandhiji used to steal money from home and used the same for smoking.He did this being influenced by bad company. Gandhiji's father scolded his wife for the loss of money.Oneday, unable to bear his Mother being scolded, Gandhiji writes a letter to his father accepting all his mistakes. His father reads the letter and doesnt scold back Gandhiji. Rather tears roll down from his eyes. Gandhiji later said that these tears washed away his entire sins and weaknesses and changed his course of life. George Washington is the first President of U.S.A. The city of Washington D.C has been named after him. In his childhood his Mother told him: " Remember these words through out your life. There may be many people who may excel in education or possess more money than you. There may be many people who may excel in their respective fields. Dont become jealous of them, rather admire them." 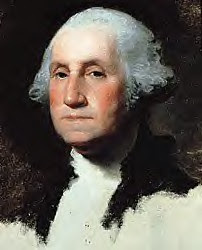 Washington said in one of his speeches in his last days: " I never felt jealous of anyone in my entire life. Being jealous, I never tried to degrade myself." Thus Washington reiterated whatever his Mother said in these beautiful words. Sri Ramakrishna Paramahamsa is viewed as Modern incarnation. Even he was scolded by his Mother. She used to say:" Your digestive power is less. Therefore take soft food like curd rice. Dont eat all the offerings made to the Lord that you get from temple." Not every one can take this freedom, how much ever they make like Ramakrishna. That is Mother. Even when Ramakrishna was alive , his Mother passed away. Who else is left out to scold him? The next day Sri Ramakrishna was asked why he cried like an ordinary man on the death of his Mother? Then he replied: " I didnot cry intentionally. I am not aware of the sorrow experienced by a common man on the death of their family members.God showed me their sorrow in this form.It is an experience. When Swami Vivekananda returned back from America, he established the Belur Math in Calcutta. Swamiji was very busy and always travelled from one place to another. When his mother, Bhuvaneswari Devi heard that Swamiji is currently in Calcutta, she would visit him occasionally. Whenever she comes she would sit under a tree and wait till someone informs Swamiji of her arrival but would never enter the office premises of Swamiji. Only Swamiji would come down to her. Oneday Swamiji asked her: " Mother, do you have any requirements that I can fulfill?" She said: " What shall I require in this age? My only needs would be food and clothing which I possess sufficiently. I came here only to see you." She never took any money from Swamiji in her life. When She was about to leave, Swamiji said: " I will come to you within 2-3 days." She then replied: " Why should you take that trouble? Wherever you may be, you must be happy. You need not come to me. Whenever you are in Calcutta and whenever I feel like seeing you, I will only come to you. You need not waste your time." Swamiji said: " Your son has become a great man, a big man in the eyes of the society, but has not been even a penny's worth to you." Thus Bhavaneshwari devi never took advantage of the fame of Swamiji. Adi Shankara's Mother, Aryamba tells him that the river Poorna being very far, she is unable to bring water from it on a daily basis. Then Shankara makes a prayer which changes the course of flow of Poorna river and it starts flowing near Shankara's house. Shankara asks his Mother to grant him the permission to take up ascetism but she refuses stating that he is her only son and her only support.Shankara then creates a dummy crocodile and enacts as if caught by it while taking bath. He asks his Mother to fulfill his last wish of becoming a monk.Aryamba then gives her consent. As and when Aryamba gives her consent, the crocodile leaves Shankara. Aryamba then says: " You need not live with me. Where ever you may live, you must be happy.But promise me that you will come to me in my last moments and also conduct my funeral rites." Therefore Adi Shankara came all the way from Sringeri to Kaladi(by flying) for the sake of his Mother in her last moments. Aryamba adored Vishnu through out her life. Even now there exists a krishna's temple in Kaladi which was worshipped by the ancestors of Shankara. Even though the Truth is nameless and formless, our mind settles down only on that name and form whom we adore.There is nothing wrong in having a personal God. It is enough if we can view all the other gods in our personal God. Shankara tried to make her concentrate on the Self but failed to do so.Then he tried to make her concentrate on the form of Shiva but she couldnot do so. However she has been worshipping Lord Krishna through out her life.Therefore Shankara ensured that She took the name of Vishnu, concentrated upon his form and meditated upon him and thereby attained the Supreme state of Brahman. As a monk is not eligible the villagers refused to help Shankara in conducting the funeral rites. Then Shankara created fire using his yogic power and thereby fulfilled his promise made to his Mother. Before crucifixion, Jesus called his Mother ‘Mary’ and said : " I did not have any house to live in till date. I also do not ask you to live in any other’s house. I am your son only till today. From tomorrow onwards, Yoha, my disciple, would be your son. You stay at his house." Jesus had brothers who were not righteous. Jesus knew thatthey would not look after his mother. But Jesus neither spoke ill of them nor asked his Mother to stay with his brothers. Handing over his Mother to Yoha, Jesus said: " Till today, she has been my Mother. From tomorrow on wards, she is your Mother. Look after her carefully." Yoha promised Jesus accordingly. Therefore Jesus became GOD Himself. Mother Mary lived for 12 more years after crucifixion of Jesus. In order to keep his word, Yoha never moved out of his village as long as Mother Mary was alive ie for 12 years.It was only after Mother Mary left this world did Yoha go out for preaching. Buddha's Mother, Mayadevi invited one of her childhood friends for the naming ceremony. The child was named Siddhartha. After the completion of the naming ceremony, Mayadevi put the child in the lap of her friend. On viewing the child, the friend compeletly lost the time sense and kept looking at the face of the child for 15 minutes uninterruptedly. Later, Mayadevi's friend felt : " No woman should marry in this world. Even though she gets married, they should not give birth to any child for they will not be able to give birth to a child like Siddhartha." Thinking thus she remained as a celibate through out her life without marrying . Later within a very short period of time, Mayadevi expired. Then her friend thought: " Goddess Earth herself incarnated as Mayadevi to give birth to Siddhartha. Since her task has been accomplished, she left her mortal frame. " When Siddhartha became Buddha, Mayadevi's friend visited Him. When Buddha spoke out, it looked as if a wall is speaking. He was such a flawless person. His body remained motionless. His face was devoid of emotions. Such Buddha stood up involuntarily and came to Mayadevi's friend and called her 'MOTHER'. Buddha would normally call anyone by their name. However he called Mayadevi's friend as 'MOTHER'.Then Mayadevi's friend felt: " When Buddha called me as Mother, the purpose of my advent onto this earth has been fulfilled. When Goddess Earth taking the form of Mayadevi gave birth to Siddhartha, the purpose of her advent has been accomplished." In the last moments of Alagamma, the Mother of Bhagwan Ramana, Ramana places one of his hands on her heart and another hand on the head. He thus makes her experience all the karma left out and removes all the tendencies that obstructed her liberation. The world blames Bhagwan Ramana that he granted liberation to Algamma as she is his Mother. But this is not true. Ramana taught her in a very unique way. He seldom spoke to her for many days. He would also enact anger for petty things. When his Mother cried in a manner that would melt even the stones, Bhagwan would say: " It is good that she is crying.Let everything that exists within (as obstacles)come out." Though Algamma didnot receive the reverence of Bhagwan, she refused to leave him. She completely surrendered to him and said:" I would like to die only in your hands. It doesnt matter even if you throw this body somewhere on the hill with your own hands." In her last days she never left Arunachala fearing that she may die in the place where ever she may go. Therefore Bhagwan granted her liberation only after she attained complete surrender. When Bhagwan's Mother passed away, he did not cry rather his face reflected peace and his face filled with glory. Perphaps Bhagwan thought there would be none to bother him and he can lead a carefree life. The attachment with the Mother is a greater bond. The Mother never stopped questioning him. Who will ask him as to why he is roaming in the hot sun? If he doesnt eat on time, it is only Mother who would ask as to why he didnot eat. Who else can ask? Whether he listened to her or not,she never stopped questioning him. Bhagwan thought the questioner has vanished away. Therefore the attachment with the Mother is a great bond even for a realized soul. In Aksharamanamala Bhagwan says: " What is Mother's Love when compared to that of Your's Oh! Arunachala. Mother's Love is physical and relating to this earth but God's Love is Divine. You took away my ego and granted me Self Realisation without any pain. It is all your Grace. How can the Mother shower this Grace? Sri Rajayamma garu, the Mother of Sadguru Sri Nannagaru left her mortal frame on 30th April 2013 at 1.15 pm. She was 98 years old. She was taken away amidst the chanting of the name of the Lord at 4.30 p.m. 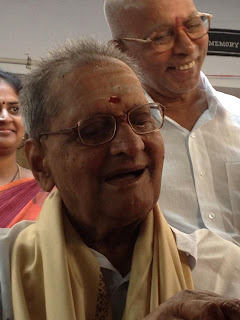 This is a great loss to the entire family of Sri Nannagaru (not only family members but also devotees). She was most loving person who always welcomed devotees wholeheartedly. She never differentiated between people irrespective of their age or status. She treated all of them alike. As a Loving Mother, she was always concerned about Sri Nannagaru's health and advised Him to reduce his travelling. It was her ardent desire that Sri Nannagaru should be on her side in her final moments and her funeral rites be done by Him. We are glad to inform that Sri Nannagaru fulfilled her desire accordingly. you away from the cycle of births and deaths, and thereby breaking all attachments with this world. It will dip you into an unlimited ocean of happiness. It is only when the real supreme knowledge dawns on a person can that person speak about the immense bliss and peace. A real mahatma is the person where you will get peace in the little time you spend with him/her. A mahatma is the person who can propound a few words of the ultimate truth. In the presence of a mahatma, all your unhappiness will just flow out like water from a tap. Saint Tyagaraja said a person will never get permanent happiness as long as there is no control over senses. To acquire all worldly pleasures, there is a requirement of money. Similarly, to acquire the ultimate truth, one must be dipped in real peace. The day this body takes life, on that day itself God decides its death. Jesus Christ said every living being in this world has a place to rest. But this son of God (Jesus) has no place to live. Jesus was emperor of peace. When Jesus was crucified, he never blamed anyone. He was filled with peace. Mahatmas also have enemies and friends, which is because of the fruits of past actions. They bear insults in a normal way. They never react. That is what one has to learn. Bear insults in a normal way. Never react. Praise or an insult will never have any effect on the soul. Sri Nannagaru upon seeing me said lovingly: "I've never seen you before." I replied: " This is my first visit. However I happened to listen to your sermons in Shiva's temple of Kommara. I was in a hurry to go back home, yet I listened to your discourse." Speaking thus, I mentioned some of the highlights of preaching's that I heard. The same day Sri Nannagaru visited our house. I told him that I had devotion in my childhood and I dont have any of such now. Then he replied : " The devotion cannot disappear. The suppressed devotion needs to be awakened." Saying thus he asked me, "Who is your dearest GOD?" I replied him as Lord Krishna. He then asked me to bring the Bhagawad Geetha that I use for reading. He put back the book into my hand and said," Keep reading this and whenever possible try to come to Junnor." Saying thus, he left. This was my first introduction to Sri Nannagaru. I never imagined that the discourse of Nannagaru that I heard accidentally would become the very basis of my life or that Lord Krishna whom I adored would himself take the form of Sri Nannagaru and bestow his Grace in the form of preaching's. After a gap of 9 months, I visited Junnor to attend Sri Nannagaru's sermon. Sri Nannagaru explained in detail the glory of the Self Knowledge through the verse: " What is the essence of this Life which is devoid of Truth Realization? " I was surprised of the fact that how can beauty and power hidden within the words, I was enchanted thereby! Whether we like or dislike Sun, aren't we enjoying the Sunlight? Similarly I felt whether I like Sri Nannagaru or not, his words are much useful for my spiritual life. I felt that all these days I filled my mind with unnecessary thoughts and now I should treasure these most beautiful words. I prayed thus: " Oh! Lord, do empty my mind." From that day on wards, He taught me the thinking methodology to get rid of the laziness within my mind. I went to Arunachala after an year. After my return, one -+++day I went to Junnor to see Sri Nannagaru. 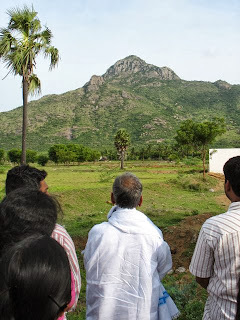 Asking me about my experience of Arunachala, he said: " You came here all the way walking in this hot sun. Let me bring a glass of water for you." Saying thus he went inside and brought me a glass of water. Due to the sunlight, you are able to view my shadow. How would you feel if I stop giving you water and hand over the glass to your shadow? After thinking over for a while, I replied:" Rather than respecting me, it would look as if you are respecting my shadow and have forgotten me." Immediately he said: " This body is being driven by an unknown power. If you honor your body forgetting that power, How would GOD feel about this? The way you would feel when you stop honoring yourself and start honoring your shadow, even God would feel the same manner when you stop honoring him (the very basis of your existence)and start honoring the body. Don't forget this word." Who can explain us the essence of these words? It is only his Love which has to reveal the same. From that day on-wards, I started depending upon his Love. I understood that his words possessed power to bestow Love and Grace upon us. Sri Nannagaru's love and his preaching's were attracted by me. This attraction gave me the strength to overcome my weaknesses and thereby made my Life a sweet journey. The secret behind his preaching's is to take all of us to the blissful state that he possessed. not happy performing a few tasks. Remember here, the mind is not important. Just follow instructions and complete the task. He is a true devotee who performs all tasks without being bothered about the status of the mind. All perform certain rituals and practice mediation to secure God’s grace. These acts will benefit you only in this life. All the benefits from the rituals are just for the mind, and give you temporary happiness. Your love for money, recognition will never lead you to the path of the real happiness. expert to become a master of it. To achieve something you must have a determination to pursue it. Then only you can master that art or subject.Similarly, perform all tasks with a dedication to receive the grace of God. If Sri Nannagaru's association is my greatest fortune, his greatest boon to me has been my London trip with him. I carefully treasured those sweet memories of 18 days within my heart. Even today my mind is filled with bliss when I am reminded of those memorable days. Accepting the invitation of 'Ramana Maharishi foundation' of London, Sri Nannagaru boarded the flight to London from Madras along with me and a doctor(a devotee belonging to Narsapur). Sri Nannagaru asked me to sit in the middle so that I am not faced with any kind of hardship. When the flight was about to start, the doctor asked me to put on the belt of Sri Nannagaru. Initially I hesitated. My hands were hesitating to tie up the omnipresent Lord. I was reminded of Mother Yashodha, who being frustrated with the pranks of Lord Krishna tried to tie him up but failed to do so. As Lord Krishna surrendered himself in the end, Sri Nannagaru also very innocently said:" Look Shakuntala, the belt is here. Please tie it." When I heard these words, I tied the belt effortlessly. I couldn't understand whether the flight was floating in the air or my mind was floating in the air. Right from Madras to London, every act of Sri Nannagaru seemed to contain unknown beauties. I felt that both the eyes are not sufficient to view the glory of that beauty. By the time we reached London, it was 4 O clock in the evening. Sri Nannagaru did not eat anything till then. The owner of the house arranged the food for us. When she served the food, I could not stop my tears. The food was very cold and looked watery. I felt pity for her for she doesn't know our mannerisms. I did not even feel like touching that food. But Sri Nannagaru ate the food very normally as if the food is flawless. I kept watching him thinking that Sri Nannagaru not only preached that one has to maintain one's equanimity in every situation(whether good or bad)but also practically showed me the same. Sri Nannagaru's sitting used to be held from 2 to 4 everyday. Many devotees from London, France etc., visited him on a daily basis. The hall used to be full with those devotees. Sometimes Sri Nannagaru used to ask the details of the devotees but most of the times he remained Silent. He used to sit on the sofa with folded legs. I felt him to be Sri Ramakrishna Paramahamsa, when I saw him in that posture. One day a very famous photographer came to take the photos of Sri Nannagaru. However the owner of the house objected for the same. She strongly opposed for it, which disappointed all of us. She expected some miracles from Sri Nannagaru. Unable to tolerate her anymore, doctor(the other devotee) went to Nannagaru and said that the owner may not be quietened until and unless she is given something. 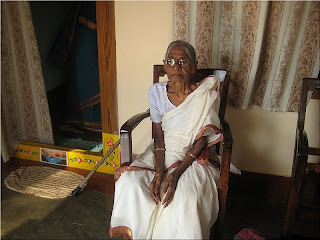 Sri Nannagaru replied with a smile:" What do we have to give her? O.K tell her that I will give her at the time of leaving. " The owner calmed down with these words and allowed the photographer to take the photographs. I felt pity for the owner of the house for her ignorance and innocence. I don't know if my tolerance was being tested that the owner gave a tea kettle and vessels made of special glass in order to cook the food . In that tea kettle itself, I cooked the various food items in turns. There were four stoves for cooking the food. One day it happened that instead of turning off the stove being used for cooking I wrongly turned off some other stove. The food got spoiled in this process. It was the time for Sri Nannagaru's lunch. By that time he asked me twice whether the lunch was ready.With a heavy heart,I served him the spoiled food only. 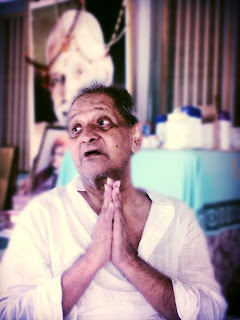 Observing my sadness, Nannagaru, in order to console me, said: " Oh! How good is the food today. Shakuntala, you cooked very well today." I could not bear his Love. I felt: " Does anyone exist in this Universe who can Love us in this manner?" The owner of the house was very surprised that I came all the way only to cook for Sri Nannagaru. She couldn't understand as to why I needed to do a trivial work like cooking food for Sri Nannagaru when all my children were well settled in U.S.A. How could I convince her that this opportunity of serving Sri Nannagaru is the result of several good deeds of my past births? 'Ramana Maharishi foundation' conducted a three day retreat program in a particular place that took us a 5-6 hrs of journey to reach. Our guest house was surrounded with greenery, mountains and the beauty of the nature resembled the painting of a painter. Therefore it was a totally blissful atmosphere. All the required arrangements for the sake of devotees were made by the foundation itself. However Sri Nannagaru's food was prepared by myself. The program's were conducted from morning till evening. Most of the times Sri Nannagaru remained silent, clarifying the doubts of devotees in between. Unable to withstand the Peace and Bliss that they experienced in the presence of Sri Nannagaru the devotees used to hug each other. While returning back from London, Sri Nannagaru said," Shakuntala, Our journey has been very comfortable as you accompanied us. " Then he turned towards doctor and said: " There are some people who make a lot of noise and make their presence felt. But Shakuntala has been so quiet that we could not even make out whether she has been with us or not." I remembered Lord Krishna telling in the Gita: " Oh! Arjuna, you just move your hands. I will look after everything." Even here, the entire work was done by Sri Nannagaru but the entire fame was given to me. It is always his grace that drives my life. He caressed me as a Mother; shared my hardships as a father; and preached me as a Guru. I don't have the experience of GOD but have a firm faith in his existence. Oh! My Beloved Father, Sri Nannagaru, bless me that I don't lose this faith till my last breathe.